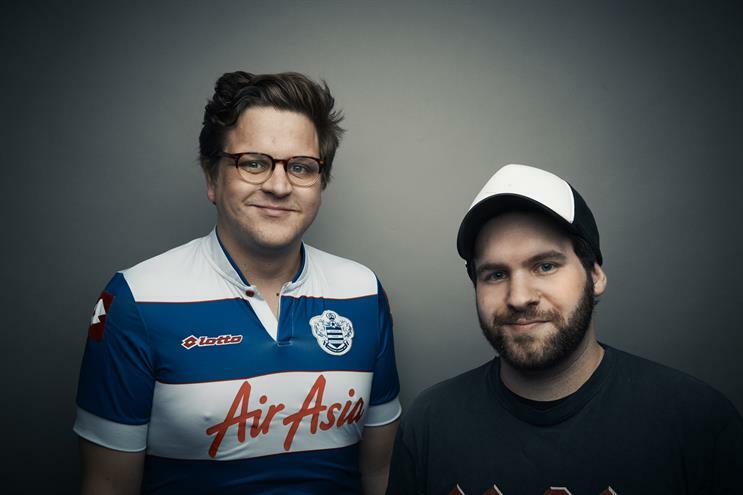 Creative start-up Who Wot Why has hired Saatchi & Saatchi's Matt Butterfield and Ben Mills as the agency's first permanent creative hirings. The agency, launched last year by three former Crispin Porter & Bogusky London executive creative directors, said the new team would work across all clients and help to land new business. As creatives they will report to founders and executive creative directors Ben Walker, Matt Gooden and Sean Thompson, who joked that the agency was now looking for a Sean to complete a "cloned" trio of namesakes. Thompson said: "With our new Matt and Ben on board I’m looking for anyone called Sean who might be interested in joining. Get your CVs in now, particularly Sean Doyle and Blade Runner’s Sean Young." The pair, who joined Saatchis after meeting at Watford’s advertising course three years ago, consider themselves to be "all-rounders" and have worked on humourous ads including "Poo face" for Pampers, EE’s "Kev's lost in music" and Asda’s "Mother’s Day plan"
As well as founding client Sky Bet, Who Wot Why is working with Lily’s Kitchen, Global Radio, Universal Pictures and Giffgaff.